My work at the VBA include developing, creating, editing, and promoting web content using an enterprise content management system (CMS) called TeamSite (transitioning to Drupal in 2019). Web pages and content files are compliant to Section 508 regulations. I’ve utilized HTML and CSS (with some scripts) to implement these updates. As part of the VBA Web Team, I am responsible for designing and developing websites and web applications for VBA internet, intranet, and SharePoint sites, and performing all aspects of designing, developing, publishing, and maintaining the content and applications. I’ve created new web pages as requirements arise and have redesigned old ones to conform with VA’s style guide and new web technologies. The Transition Assistance Program or TAP in VA provides support and guidance for active duty service members and their families as they transition into becoming veterans and into civilian life. It is a mandatory class that each transitioning service member has to take before the end of their enlistment. I redesigned the TAP website to provide the identified top tasks including an online access to TAP courses, an electronic copy of the participants’ guides, and other resources. As an initiative, the Under Secretary for Benefits (USB), Dr. Paul Laurence holds a quarterly stakeholder call to all veterans, their families, VBA employees, and other stakeholders. I created this web page that serves as a repository of his prior webcasts, transcripts, and other resources for the stakeholder. VBA is focused on serving all veterans including non-native English speakers. The Advisory Committee on Minority Veterans had advised to present translated content on benefits that the VA provides. I managed the contents that were translated (by contractors) from English to either Spanish or Tagalog (Filipino). I developed several regional offices websites using HTML and CSS to create the translated versions of the English sites. Other translated resources include fact sheets, which I was also a part of; I created the fact sheet template, checked for the styling, and also for Section 508 compliance. I am fluent in Tagalog and I have basic understanding in the Spanish language. 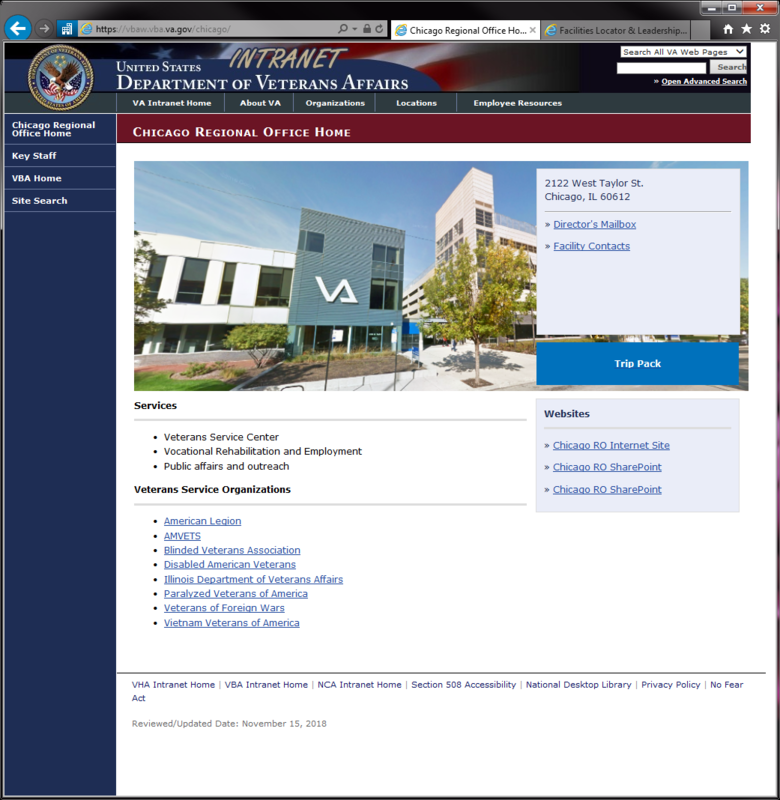 View the old VA Chicago Regional Office intranet site (screenshot). Each of the 58 VA regional offices have their own internet and intranet sites. The intranet sites were migrated from an old server (managed using SFTP protocol) to the existing CMS server. I managed the migration of all 58 regional offices intranet sites to include designing of the wireframe, coding the CSS, obtaining facility images (from the regional offices, photographers, but most were taken from Google Maps/Earth images), and retiring/archiving the old sites. I analyze and report web and social media analytics metrics on a monthly basis. I created a booklet/brochure as a simplified copy of the annual VA benefits booklet. *This publication is unofficial and unpublished, please do not distribute.